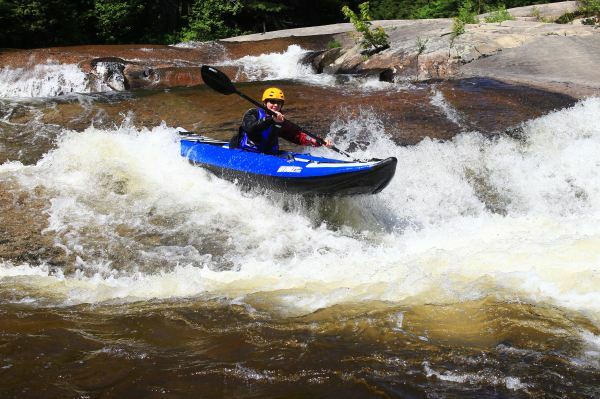 Sea Eagle Explorer Kayaks are a robust inflatable that really are built for anything. Whether you want to have a gentle paddle on a loch, splash around the coast or go down white water, the Explorer range has something for every one. New lighter, stronger, redesigned Explorers can do it all! 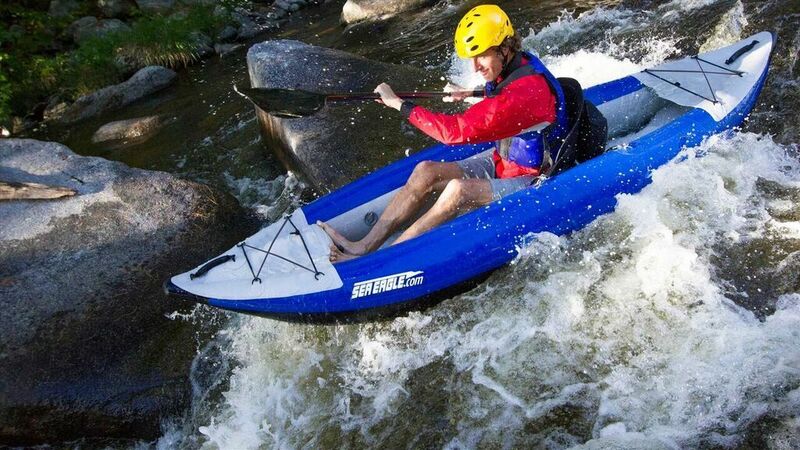 The new Explorer Kayak is tough as nails and rugged enough to conquer any boulder strewn rapids. Stem to stern, it’s constructed of super light and super strong 1,000 denier polyester-supported high-pressure fabric. The new state of the art design incorporates electronically welded seams and a double floor system, making the Explorer as tough as “crocodile hide”.